Former FPF Advisory Board Member (and former IAPP Chairman of Board) James Byrne was confirmed on Friday by the United States Senate to be General Counsel of the Veterans Administration. Jim has had a great career as a privacy leader at Lockheed Martin, and is a great choice to help address the many challenges facing the VA and our veterans. We have appreciated his advice, support and friendship and look forward to his success. We wish him good luck! Jim most recently served as Associate General Counsel and Chief Privacy Officer at Lockheed Martin Corporation where he was also the company’s lead cyber and counterintelligence attorney. 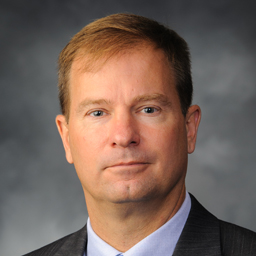 Prior to joining Lockheed Martin, Mr. Byrne served as the career Senior Executive Service Deputy Special Counsel with the Office of the United States Special Counsel, and both General Counsel and Assistant Inspector General for Investigations with the Office of the Special Inspector General for Iraq Reconstruction. Jim has over 20 years of experience in the public sector, including service as a deployed Marine Infantry Officer and a U.S. Department of Justice (DOJ) international narcotics prosecutor. He volunteered for the past ten years on the Executive Board of Give an Hour, a non-profit organization that has developed national networks of volunteer professionals capable of providing complimentary and confidential mental health services in response to both acute and chronic conditions that arise within our society, beginning with the mental health needs of post-9/11 veterans, servicemembers and their families. Mr. Byrne is a Distinguished Graduate of the U.S. Naval Academy, where he received an engineering degree and ultimately held the top leadership position of Brigade Commander. He earned his J.D. from Stetson University College of Law, St. Petersburg, Florida and started his legal career as a judicial law clerk to the Honorable Malcolm J. Howard, U.S. District Court, Eastern District of North Carolina.